More people own upright or spinet pianos than grand pianos for the simple reasons that upright pianos fit: both in the room and in the budget. On the whole, upright pianos work just as good as grand pianos which make them a desirable form of a piano. 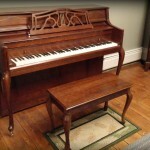 When considering moving your upright piano, there are a few things to keep in mind. The first and most obvious are stairs. 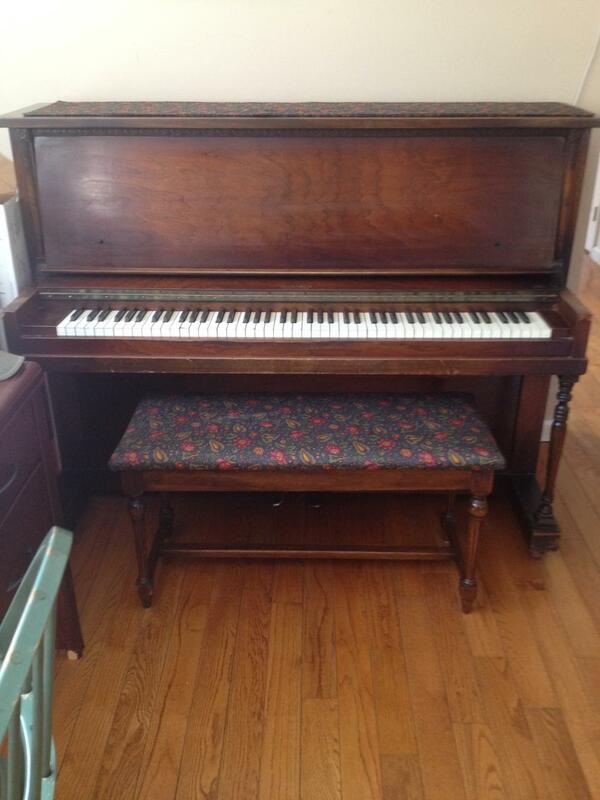 Unless you own or work for a moving company, you are probably going to hire someone else to move the piano for you. And not being the business of moving four hundred to eight hundred pound objects, you may not even think about the terrain that object has to traverse to get in or out of your house. One to four stairs are generally not considered any more difficult to move a piano and may require only one or two people to move it with the right equipment such as ramps and dollies. Increase the number of stairs and the angle increases dramatically therefore necessitating either more people or a winch to complete the job. The third consideration when moving an upright piano is terrain. Once the piano exits the house, it may have to clear bushes or flowerbeds, traverse rock pathways and climb up or go down steep hills. Fences trees, overgrown pathways, snow and ice all play a part in keeping your piano from leaving or entering your house easily. Be aware of these and take pictures if you think any of these pose a problem. In fact, a picture of everything including the piano, doorways, yard, and driveway are greatly appreciated by the piano mover. As the saying goes: A picture is worth a thousand words. Vermont has a very unique and varied landscape which makes it beautiful but can also be challenging for your local piano movers. 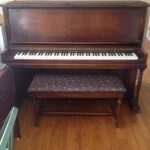 Old Upright Piano Weighs 600 to 800 Lbs. One final thought: Upright pianos come in different sizes. They range from a spinet to an old upright player piano which can be five feet tall and weigh over eight hundred pounds. Obviously, knowing the difference is very helpful when the piano owner relates information to the piano mover. Simple measurements can dispel any questions as to what kind of upright you have. Spinets range from thirty-six inches to forty inches. Console and studio uprights range from forty to forty-eight inches. Full upright pianos are taller than forty-eight inches. The taller they are, the heavier they are. Giving the piano mover a simple measurement of the piano’s height will help give an accurate picture of the piano move. For a further discussion on size with pictures please visit: Blue Book Of Pianos Types. 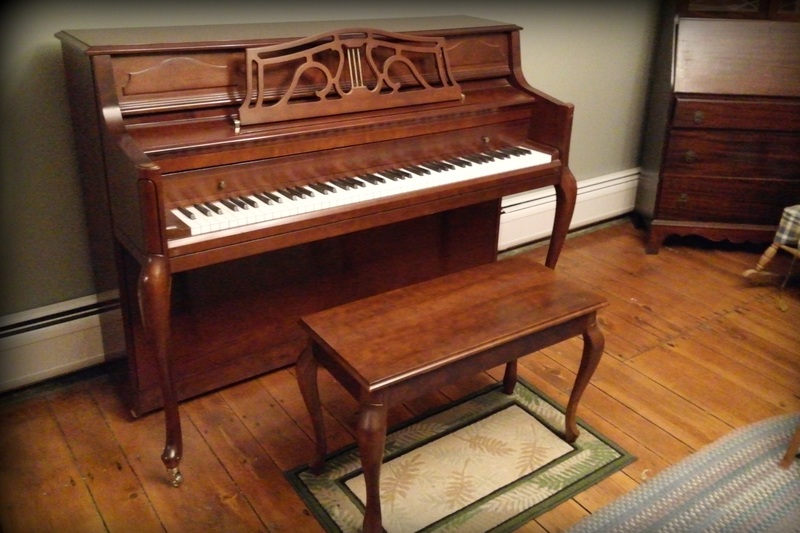 Please go to our piano moving page to schedule your piano move or call us to discuss your piano moving needs with Vermont’s premier upright piano mover.